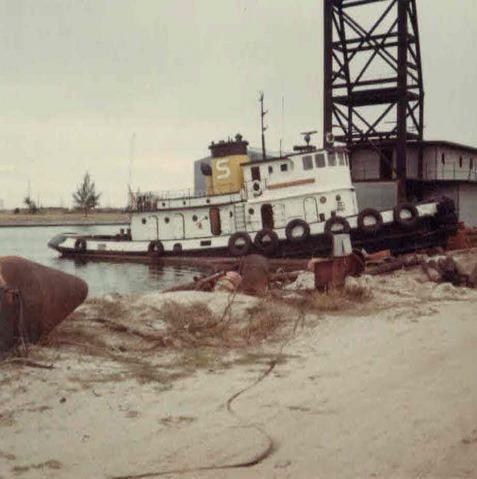 The St. Phillip Coastal Towing Company was based in Tampa, Florida. The company would later be owned by George Steinbrenner. Who also owned the New York Yankees. Under that ownership, the company became the Bay Transportation Company of Tampa, Florida. In 1998, the Bay Transportation Company was acquired by Hvide Marine Incorporated of Fort Lauderdale, Florida. In 2000, Hvide Marine Incorporated was acquired by Seabulk Towing Services Incorporated of Fort Lauderdale, Florida. However in January of 2003. After a six year hiatus from the towing business, members of the Steinbrenner family joined with the Marine Towing group. All of whom where former employees of the family’s Bay Transportation Corporation as partners in the Marine Towing Company of Tampa, Florida.